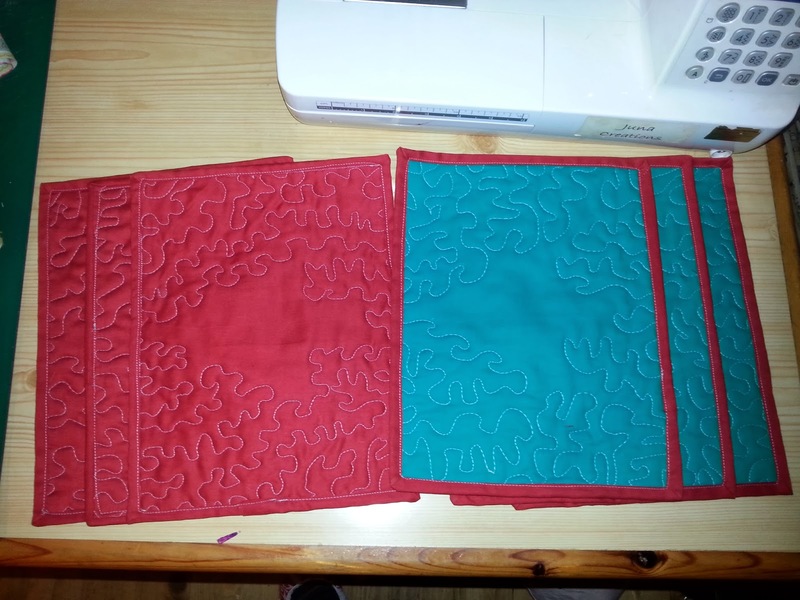 Some Christmas place mats. 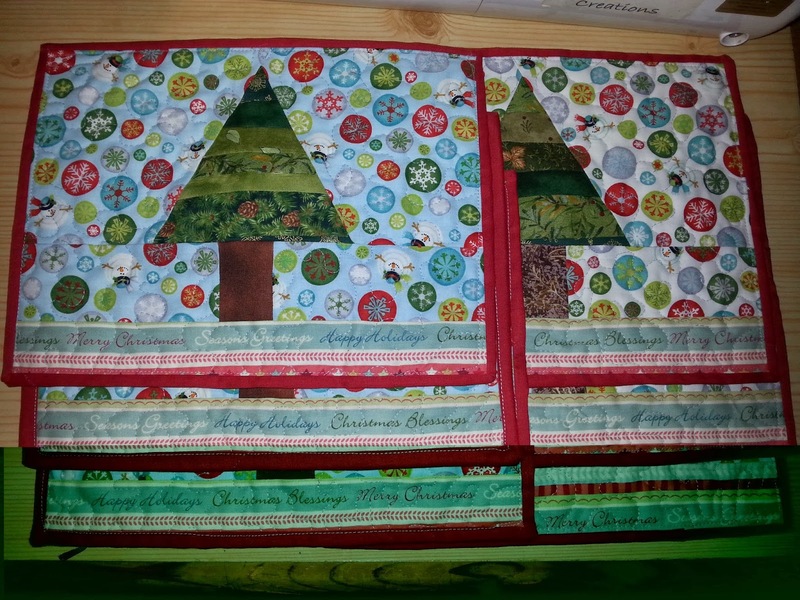 I sewed a head of green strips together, then cut out the trees and attached sides, then the bottom with the trunks. 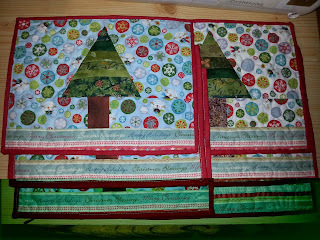 They're backed in green and red and stippling quilted all over, except the trees, then bound in red. 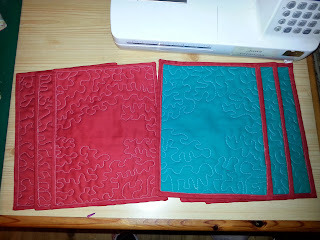 The green doesn't really show up much, but it is a nice bright vibrant green.